Counter height seating holds a space for the events that fall somewhere between formal evening cocktails and finger-food lunches seated poolside. Think: breakfasts for two, intimate lunches or afternoon refreshments. 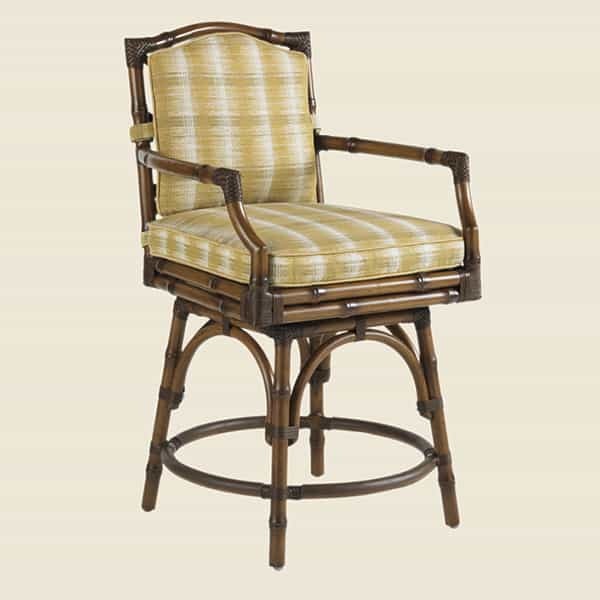 The Island Estate Veranda Counter Height furniture belongs to a collection of Tommy Bahama Island Estate Veranda outdoor furniture. The collection includes sofas, bar stools, end tables and more. The counter height furniture features the same style and construction as the rest of the collection. 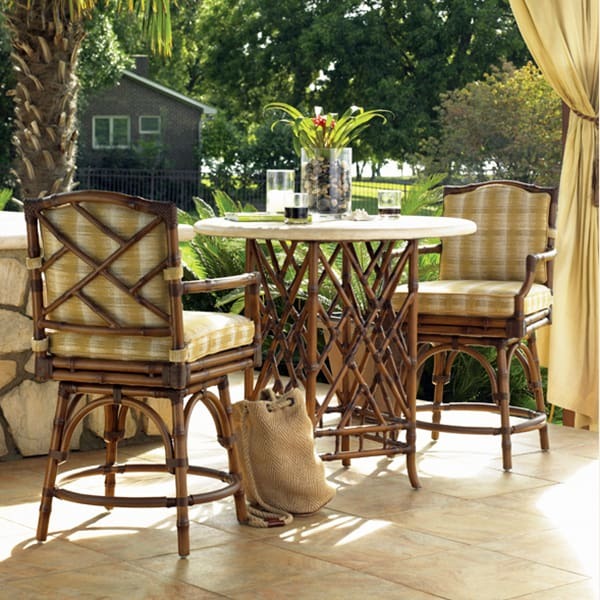 The Island Estate Veranda furniture features all-aluminum frames that mimic leather-wrapped bamboo. Bamboo is an impractical material for outdoor furniture frames, but nothing communicates the island vibe quite like that style. So, Tommy Bahama designers have created striking frames that look exactly like bamboo but will hold up season after season with exposure to sand, salt, water, wind and more. You choose the cushion covers from a huge range of outdoor fabrics, so that the set will carry your own personal trademark. Tommy Bahama is all about easy living, and their Island Estate Veranda outdoor furniture can help you to bring the vacation vibe to your home! Cushion Color You choose. Please call!